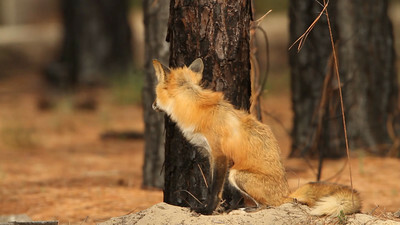 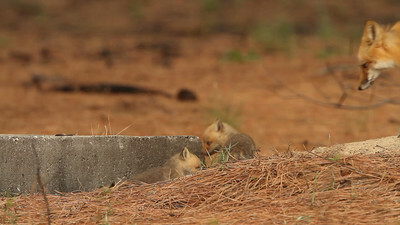 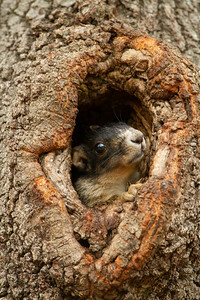 Southern fox squirrel pup looking out of hardwood den cavity. 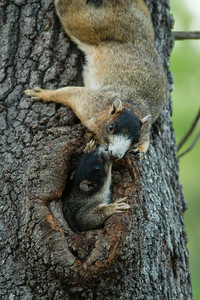 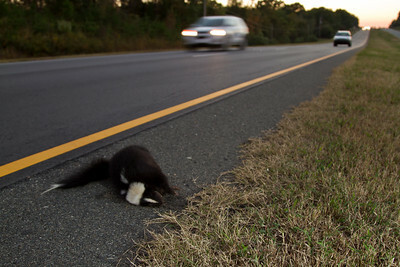 Female Southern Fox Squirrel interacting with young of the year after a day out of the den foraging. 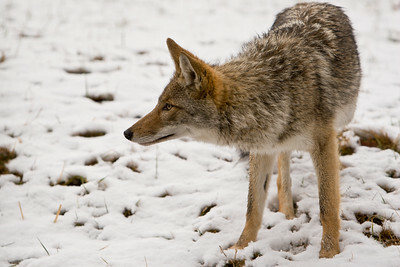 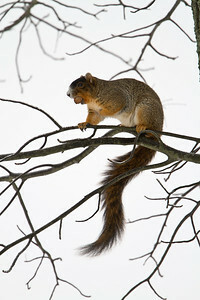 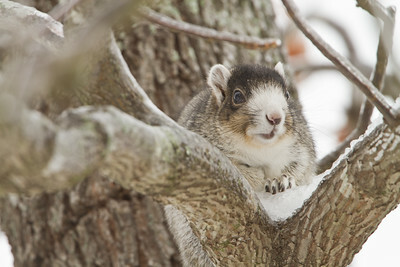 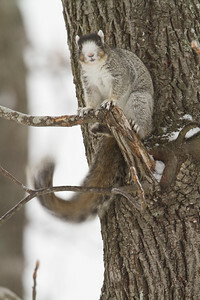 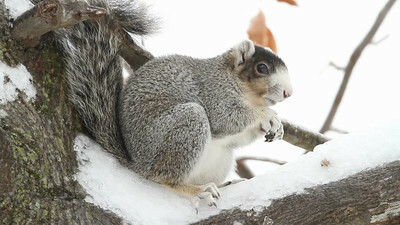 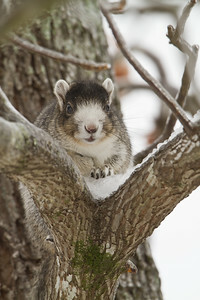 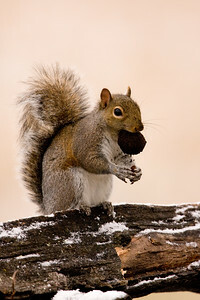 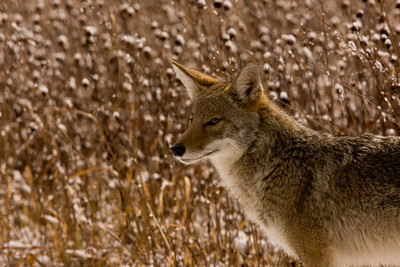 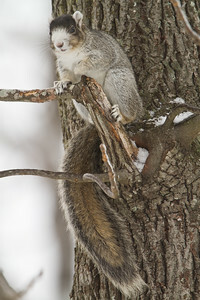 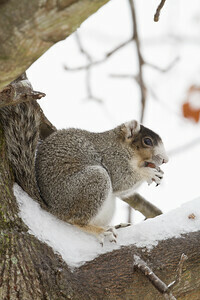 Eastern fox squirrel in snow. 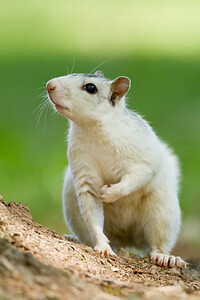 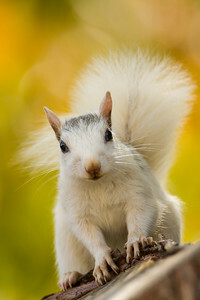 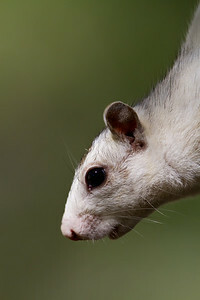 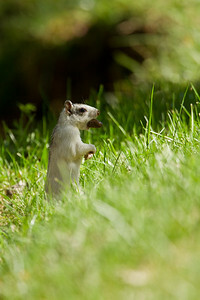 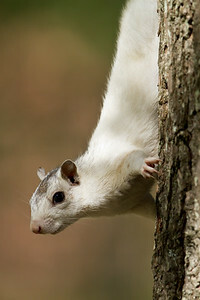 White squirrel in cut grass carrying nut. 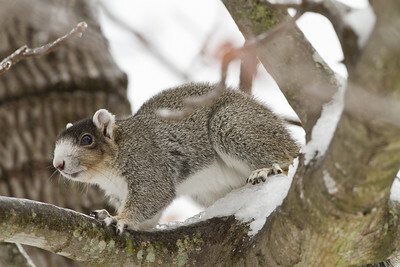 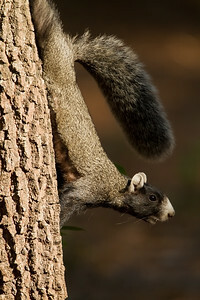 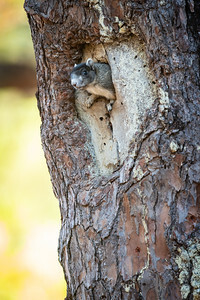 Eastern fox squirrel on side of oak tree. 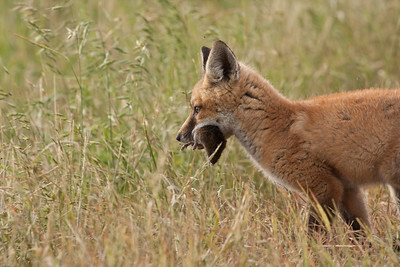 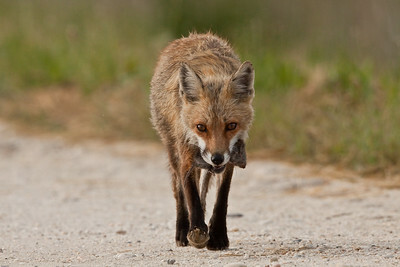 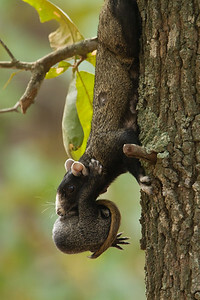 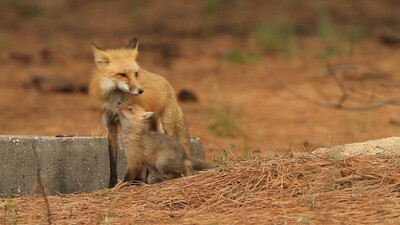 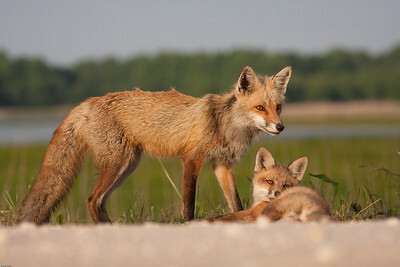 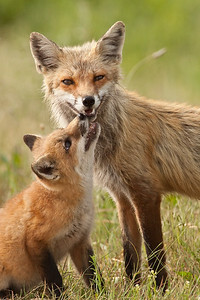 Eastern fox squirrel carrying young pup. 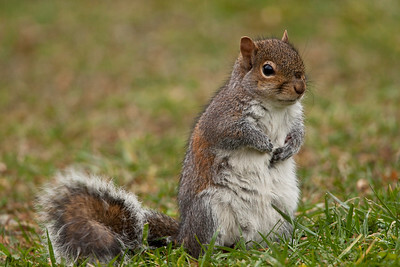 Eastern gray squirrel in cut green grass.